We are ROOM SERVICE Antiques & Interiors and we pride ourselves on our ability to aesthetically blend vintage & antique pieces with the current home furnishings trends. 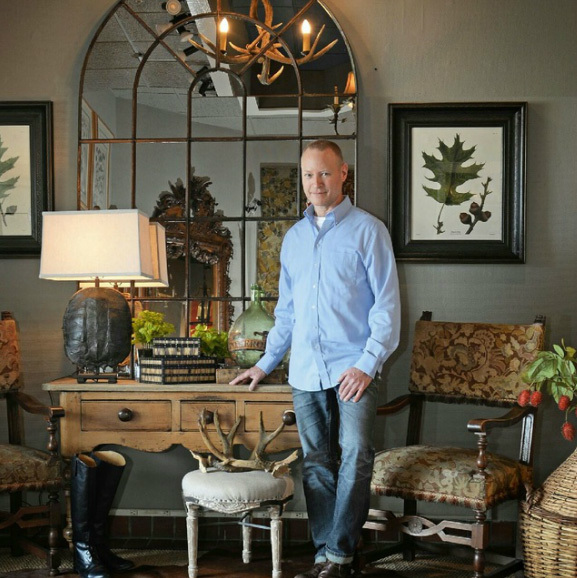 Charles Jakubowski and Orlando Suarez are the owners of ROOM SERVICE Antiques & Interiors. Charles grew up in Western Michigan, where his interest in urban cottage style began. Frequent visits to Flea Markets, Garage & Yard Sales, and Second Hand Stores and memories from his Grandparents Farmhouse made Charles fall in love with this style. With a degree in Residential Interior Design, he practiced independently for ten years. He started acquiring an inventory which has grown over the last twenty years with enough to fill a warehouse to the rafters. Orlando joined Charles in the business several years ago knowing two sets of eyes (and hands) were better than one. They have developed a style that is truly their own with the ability to blend rustic reclaimed wood furnishings with a European influence with their Flea Market Finds & One of a Kinds. Stop by and see their collection at The Scott Antiques Market or call or e-mail them to schedule a visit to the Warehouse.